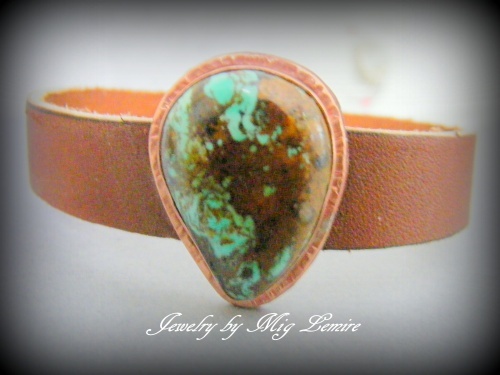 This leather bracelet has a beautiful turquoise gemstone which has been bezeled with copper and framed with a hand hammered copper wire. Clasp is antiqued copper tone and very strong. Measures 7 3/4".